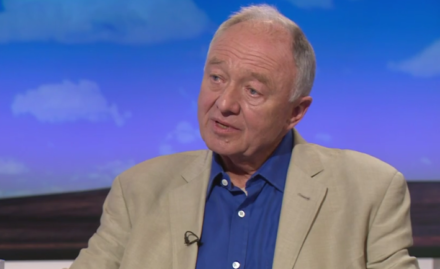 Ken Livingstone has announced his resignation from the Labour Party. The former London mayor has quit, saying the claims of antisemitism made against him have become a “distraction”. He goes on to apologise for the “upset” his comments have caused in the Jewish community, but rejects the allegation he has brought the party into disrepute. “I abhor antisemitism,” he adds. Livingstone has been suspended from the party since April 2016 pending the outcome of an internal party investigation into antisemitism complaints. A fresh disciplinary process was due to begin shortly. His resignation comes after senior Corbyn-allied Labour figures Emily Thornberry and Shami Chakrabarti called for his expulsion. Labour MPs who have consistently spoken out against Livingstone, including Wes Streeting and Luciana Berger, were quick to welcome the news. Progress director Richard Angell said Livingstone “should NOT have been allowed to resign” before being expelled from the party. Left-wing Labour MP Chris Williamson has received criticism after tweeting that Livingstone “remains a towering figure of the Labour movement”. Livingstone’s decision to resign forestalls his likely expulsion from the party. His suspension, originally imposed in April 2016, then extended by the party in March, was expected to come to an end shortly as the party has promised to deal with the “vast majority” of longstanding disciplinary cases, such as those of Ken Livingstone and Jackie Walker, by the end of July.